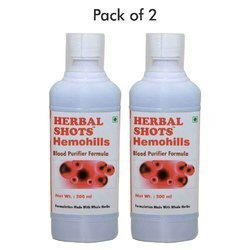 We are manufacturer, supplier and exporter of herbal blood purifier capsules. Dosage: Adult-2 capsule 2 to 3 Times a day or As directed by the physician. Packaging Size: Available at all chemists in Packs 200ml & 500ml only. RT PURE acts as a natural blood purifier and helps in removal of toxins from the body. It has anti-bacterial, anti-inflammatory and anti-fungal properties. 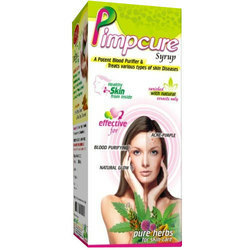 It promotes beauty and glow on the skin by nourishing skin cells. - Supportive In All Skin Disorders. Each Tablet Contains: Sodium bicarbonate 300 mg., Pure sulphur 150 mg. prepared with Melia azadirachta, Turmeric and Acacia bark decoctions.